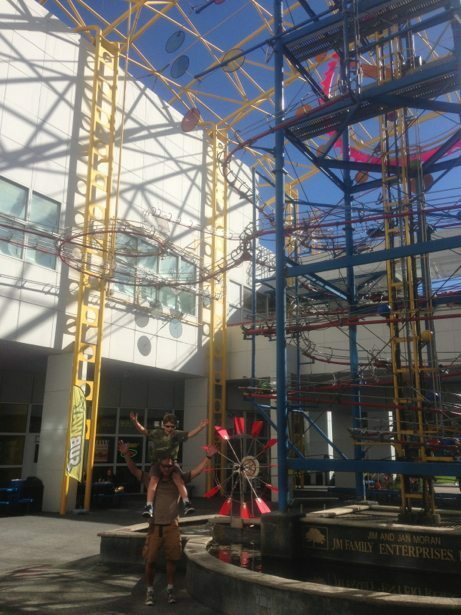 The Fort Lauderdale Museum of Discovery & Science was such a memorable experience from our visit last year that it was top of Hunter’s list for us to do again. 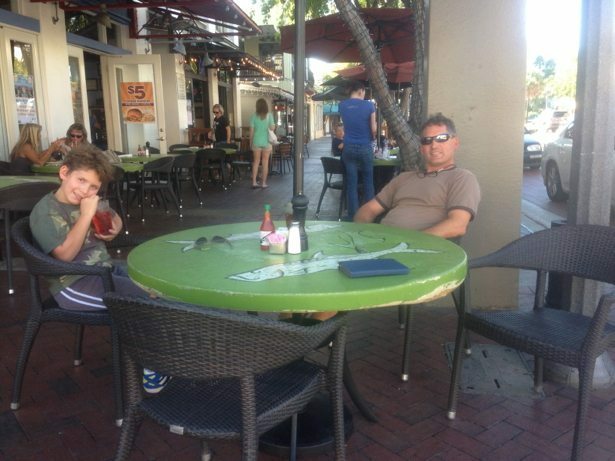 Downtown Fort Lauderdale is about 30 minutes south of where we are staying so we headed out for our “day in town” on Wednesday, thinking it would be relatively quiet as other kids are still in school. We pulled into the parking garage across the street just after opening and had to burst out laughing as we could see 6 school buses in front of the entry way and more pulling up. Turns out this is a great place for field trips just before school lets out for the holidays! Hunter’s favourite area is the flight & space section. 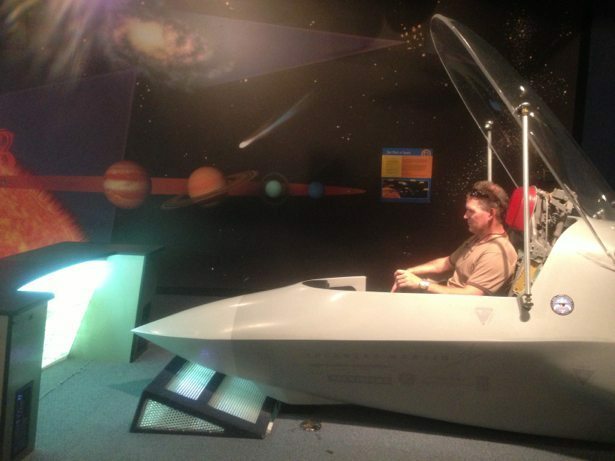 They have 6 flight simulator for different air craft and other activities that teach you about aerodynamics. 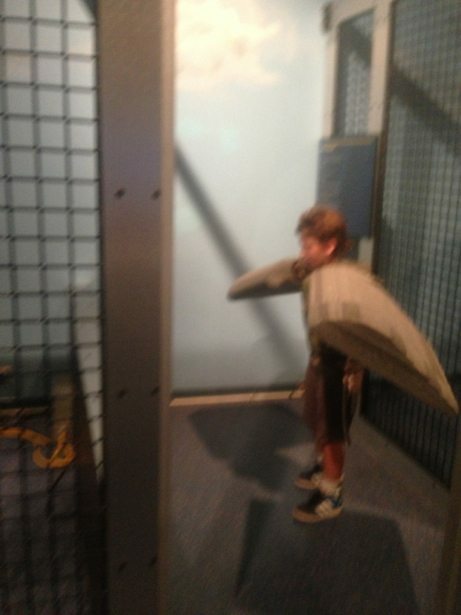 The above photo is Hunter wearing airplane wings with the wind blowing at him so he can sense the different angles and impacts.